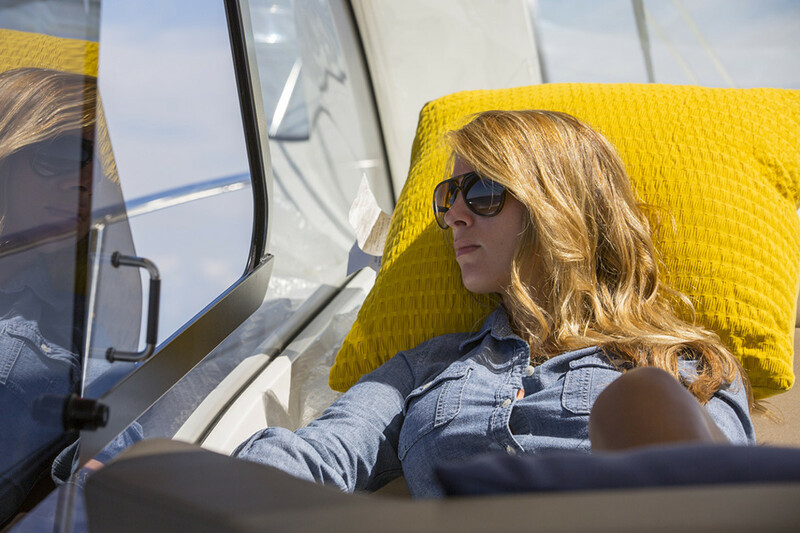 Refusing to put life off until retirement, a pair of millennials are bucking the trend and tackling the Great Loop aboard a Bavaria 44 Sport Yacht. The Great Loop. A 5,000- to 7,500-mile journey up the east coast (if you start in Florida), across the Great Lakes, the Midwest and Canada, down the Mississippi and through America’s heartland, then back around the Gulf of Mexico. It’s on the bucket list of many a seasoned cruiser, and for good reason. The cross-section of culture that one experiences on the Loop is hard to find anywhere else in the world. Now close your eyes and picture the average Great Looper. Okay, are you seeing a seasoned couple with salt-and-pepper hair? Maybe they’re standing on the aft deck of a well-worn Grand Banks, with a pair of small schnauzers cavorting by their ankles? 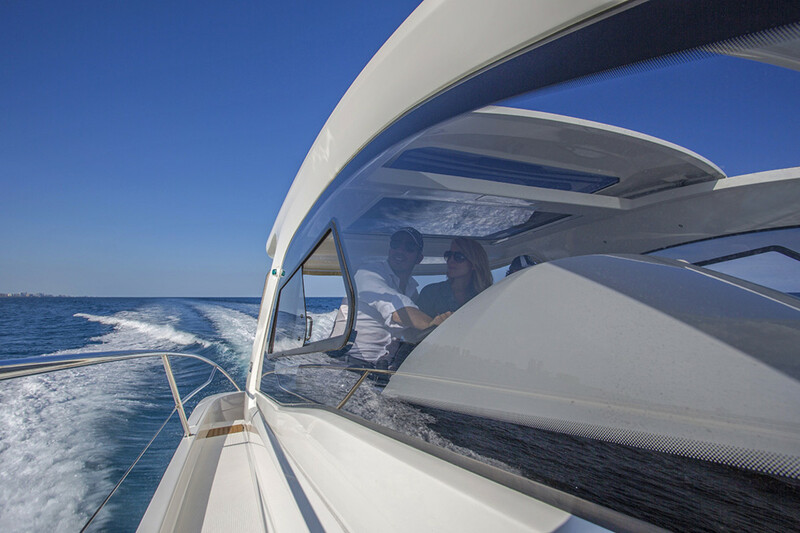 That’s the vision that most people have of the typical, retiree cruisers who are finally setting out to fulfill this dream. Total miles, depending on the route chosen and detours taken along the way. 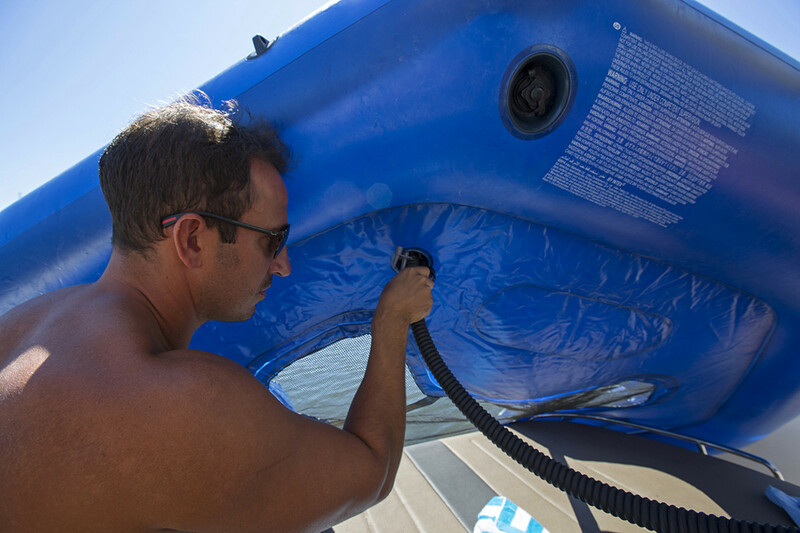 Maximum draft, in feet, that a boat can have to complete the skinny waters of the Loop. Average LOA, in feet, of boat’s completing the Loop. Trawlers are the most common vessel type for the voyage. Height, in feet, of the lowest bridge along the route (in Chicago). Average number of official Loopers each year. Official record of Great Loops completed by a single crew. 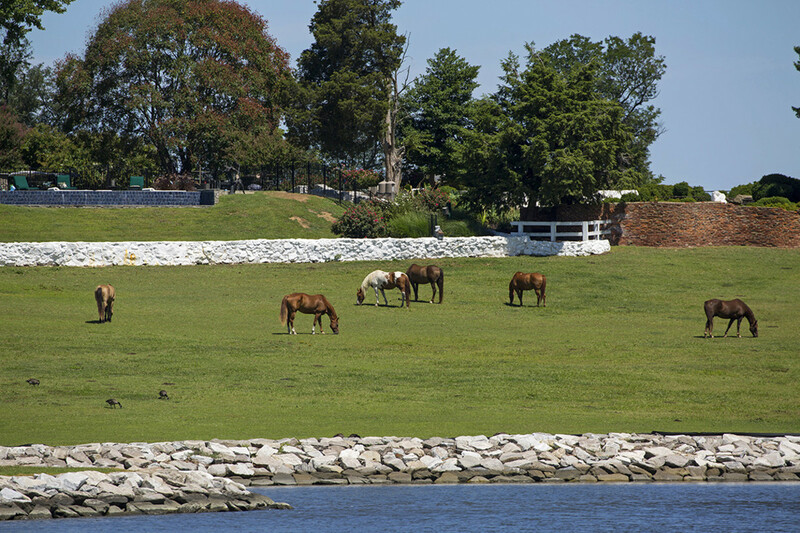 At press time, Kate and Tom were cruising to Long Island, New York, on the first leg of their trip, and loving every minute of it. For updates from their voyage, head over to Kate’s blog, www.firstmatekate.com. 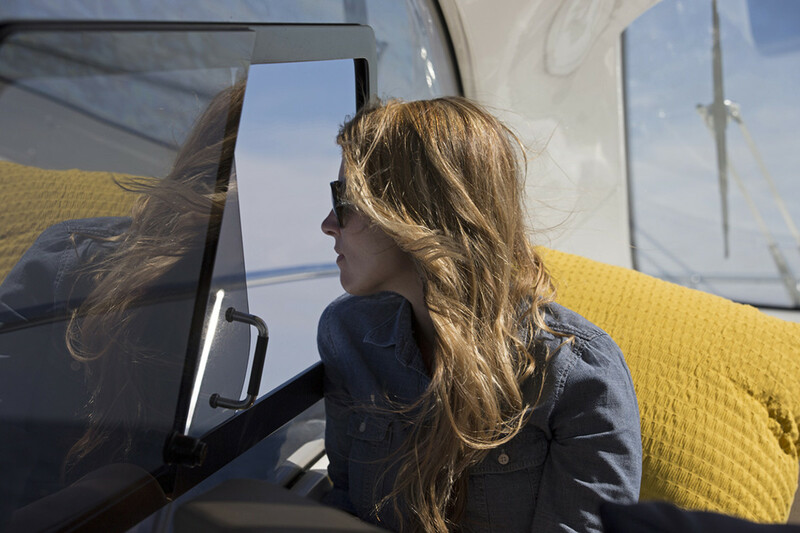 But a new and different pair of Loopers—Kate Payne, 30, and Tom DeBacco, 37—are defying that stereotype, not just with youth, but by forgoing the traditional trawler route and opting to tackle the Loop aboard their new express cruiser, a Bavaria 44 Sport Yacht. 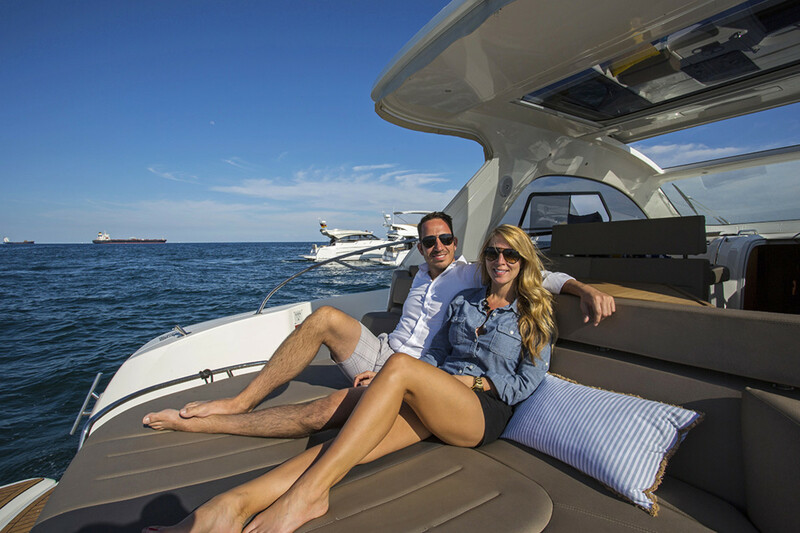 Recently engaged and living in Baltimore, the couple fits into the often-talked about, seldom-truly-understood “millennial” category that the boating industry is trying so hard to attract (see here for more ▶). They’re active on social media, fly drones, spend as much time as possible with family and friends, have an entrepreneurial spirit and a thirst for adventure, and don’t mind challenging the status quo. 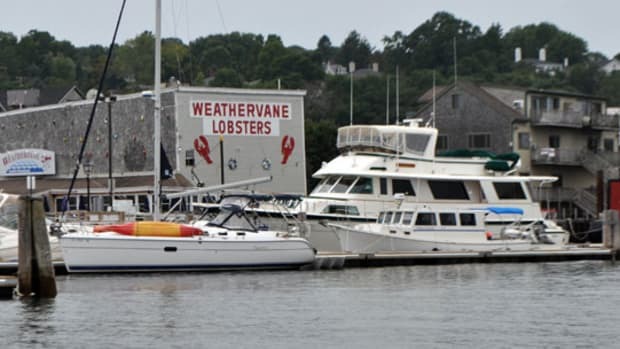 We caught up with Kate and Tom while they were waiting for high tide in New Jersey, in advance of their departure date, to talk about boating and their upcoming adventure. 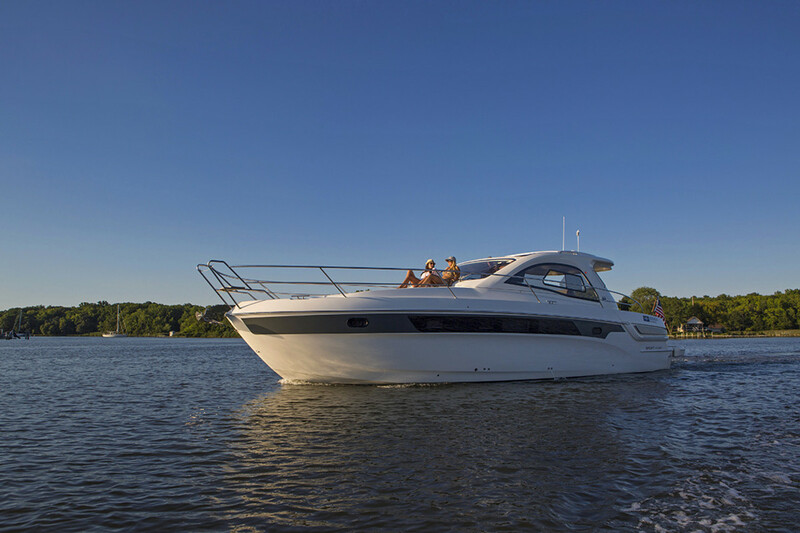 Power & Motoryacht: Tell us about your boating background. When did you get bitten by the bug? Tom DeBacco: In 2012, myself and a couple business partners [Tom owns two car washes and has other business opportunities in the works] bought a Chaparral bow rider. It was 28 feet, and we all shared it for about three years. We went out all the time, and really loved it. For us it was kind of a test boat. 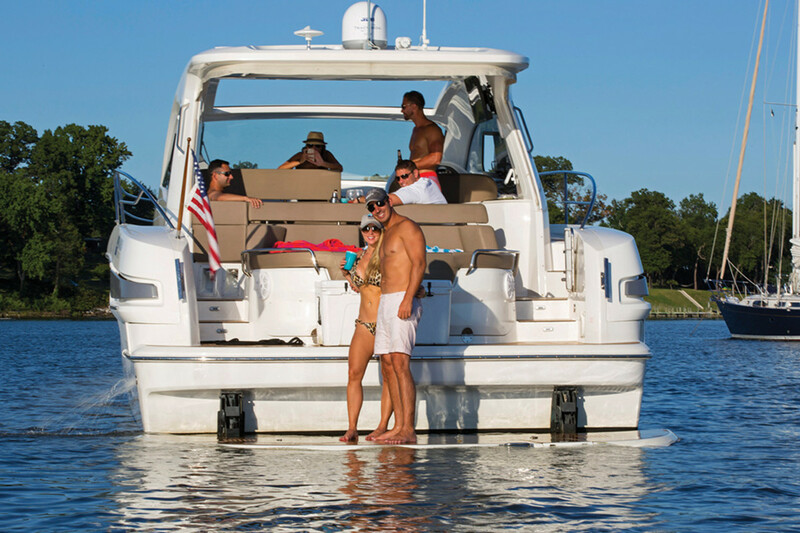 You know, a lot of people buy boats and never use them. We thought, Hey, let’s buy this and see if it works out. Me and one of my partners loved it, and we went out all the time. Eventfully we ran into problems where we agreed I’d take the boat Saturday and he’d take it Sunday, well then it would rain Saturday and we were out of luck. Then there’d be times when we were rafted up with friends, and at 6 o’clock we’d have to go back, and they’d stay on the water for the night. 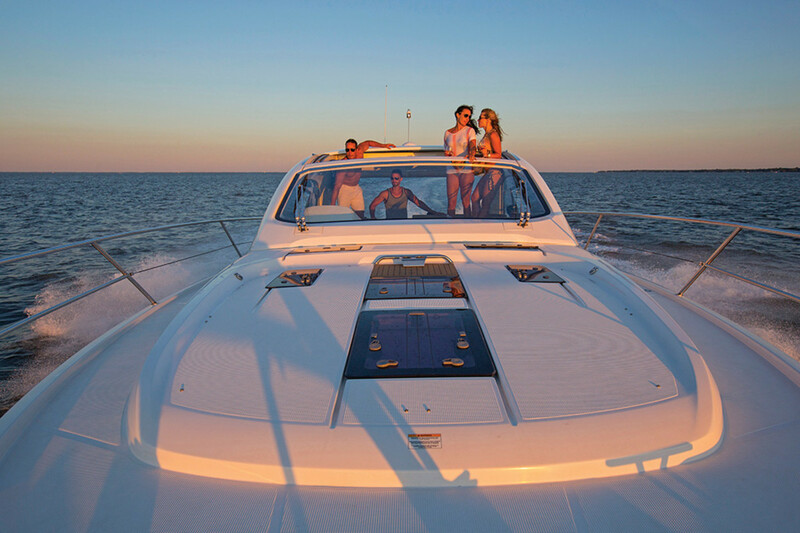 So we decided we needed a boat that was, A) fast, and could B) spend the night. Then we started seriously looking at express cruisers. 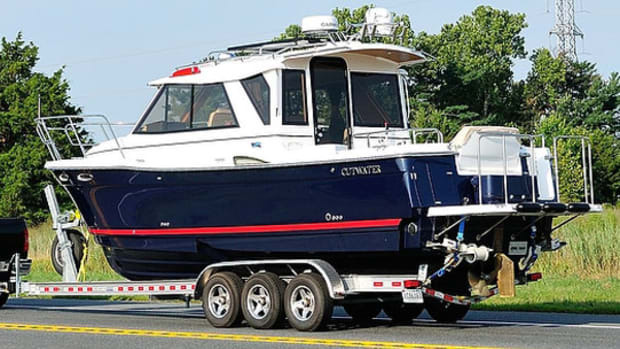 We really wanted something with diesels, so we went with a boat in the 40-foot range. 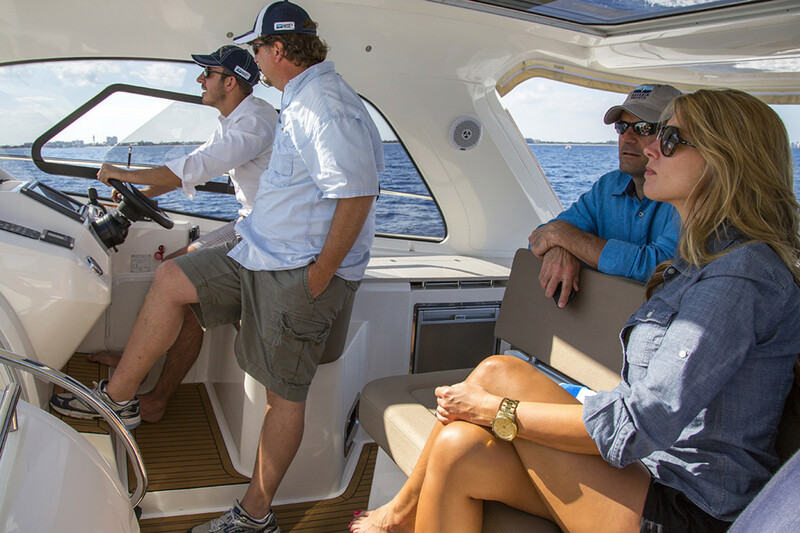 We went to every boat show—every boat show. 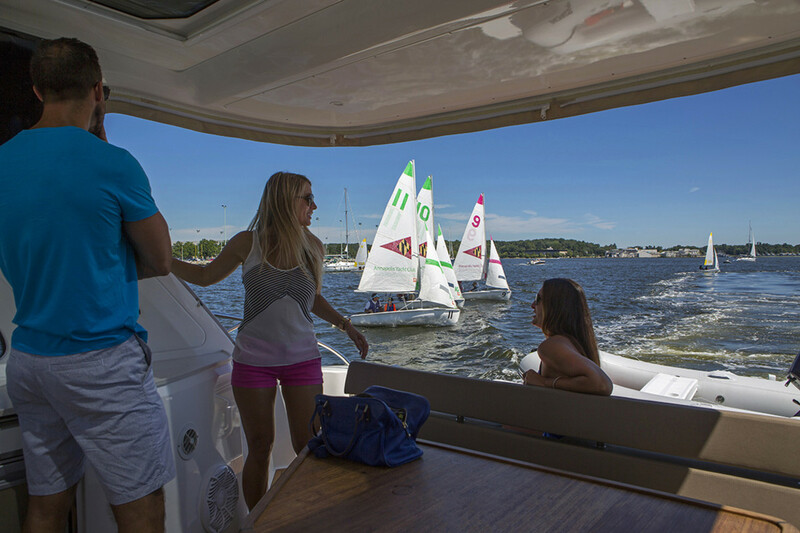 Annapolis, Lauderdale, Miami, Palm Beach, you name it, we were there—and we were on every boat. We loved a lot of boats, but we finally found the right one for us. 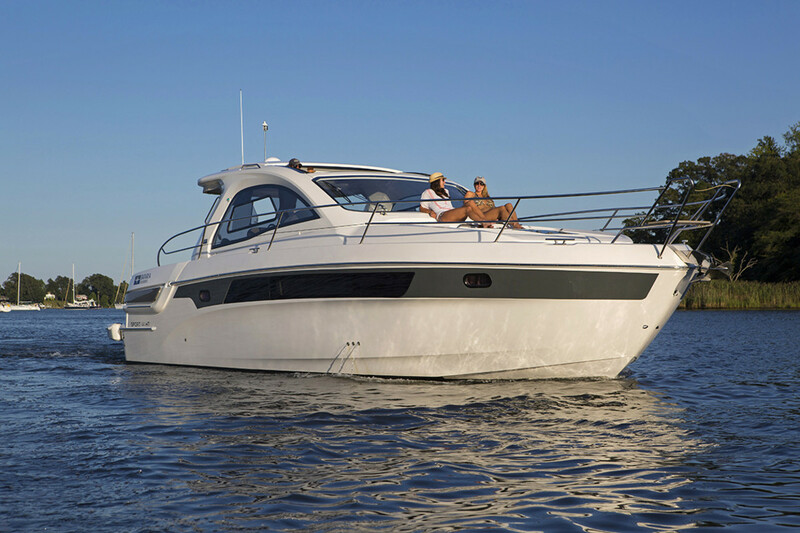 Power & Motoryacht: What were you were looking for in a boat? 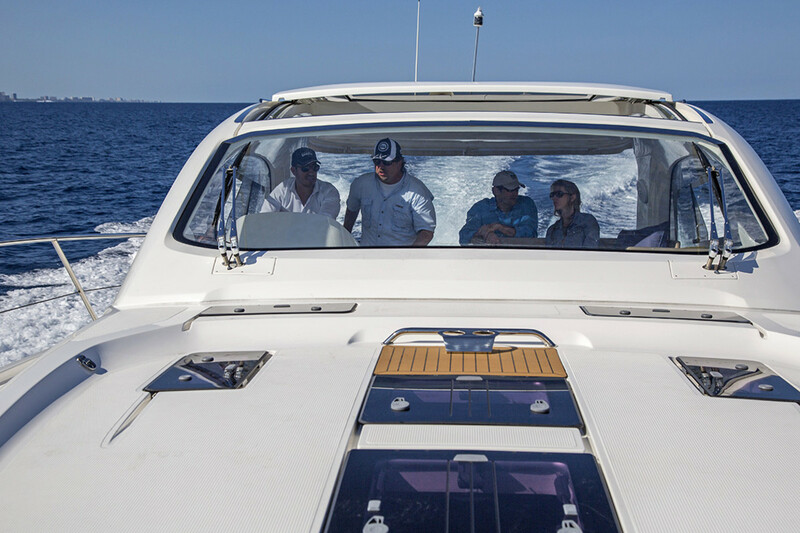 Tom DeBacco: I really wanted a sunroof and Volvo Penta IPS. I plan on using the boat a lot, so I also wanted a boat that’s efficient. Bavaria had the best boat for me. 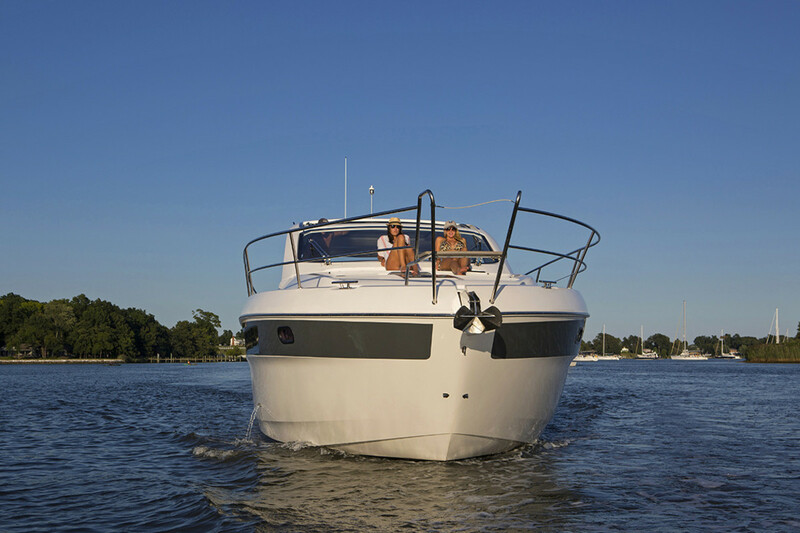 The next best boat I was looking at was a Beneteau. It was beautiful. But the Bavaria had a little more size for the money, and an extra bedroom. 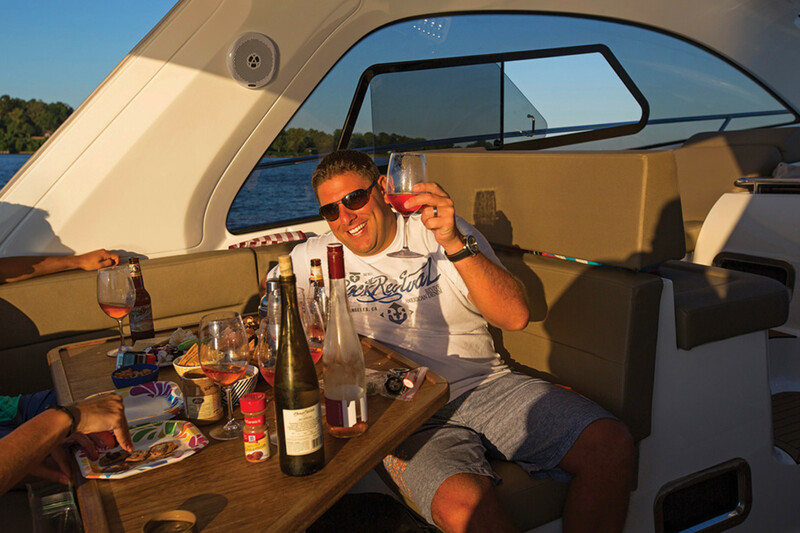 We love entertaining and having people out with us, and the 44 Sport Yacht was one of the smallest boats you could get that had three staterooms, all with a door. That was a big deal. Kate and I go out with other couples all the time, and they all have their own room, and it’s great. 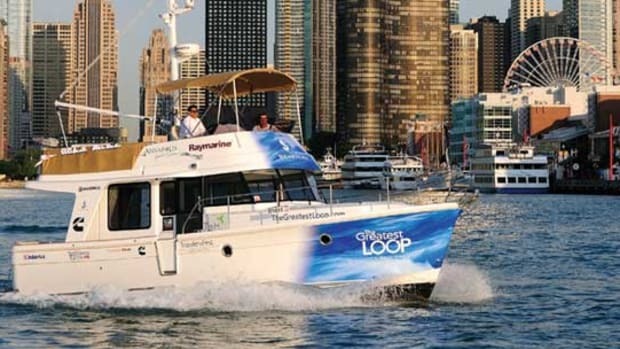 Power & Motoryacht: So, what inspired you to do the Great Loop, especially at such a young age? Tom DeBacco: Well, I read this book called The 4-Hour Workweek, and in that book [Timothy Ferriss] talks about a deferred life. A lot of people work, work, work, and they defer their life and their enjoyment until they’re retired. They’re always looking down the road and forget to live in the moment. We had the opportunity to do this trip and thought, Why not do it? Have you ever seen the movie Braveheart? You know what he says? It has been said that millennials are more interested in collecting experiences than possessions. 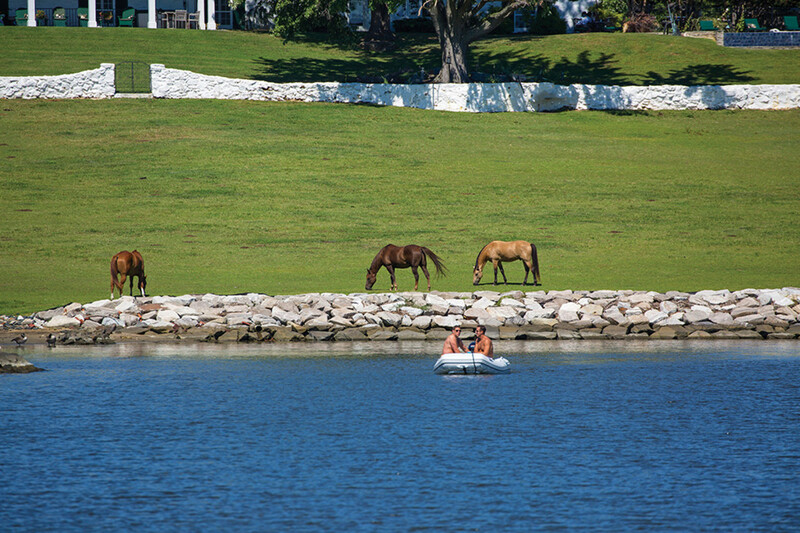 What better way to collect memories than cruising with friends, or taking the dinghy to check out feral horses? Tom DeBacco: Exactly! [Laughs.] I feel like when I’m on the boat, I’m really living. You know how hard it can be. Every time you’re coming in, you have a lot of things going on, people are trying to change your music, I mean, it can get hairy pulling into a new place sometimes, and I have IPS. But it’s an amazing feeling. We really wanted to go on an adventure. We wanted to see part of the world, travel, and do something other people haven’t done. The big question in our minds was, What are we waiting for? Does someone need to smack us to get us to start living? 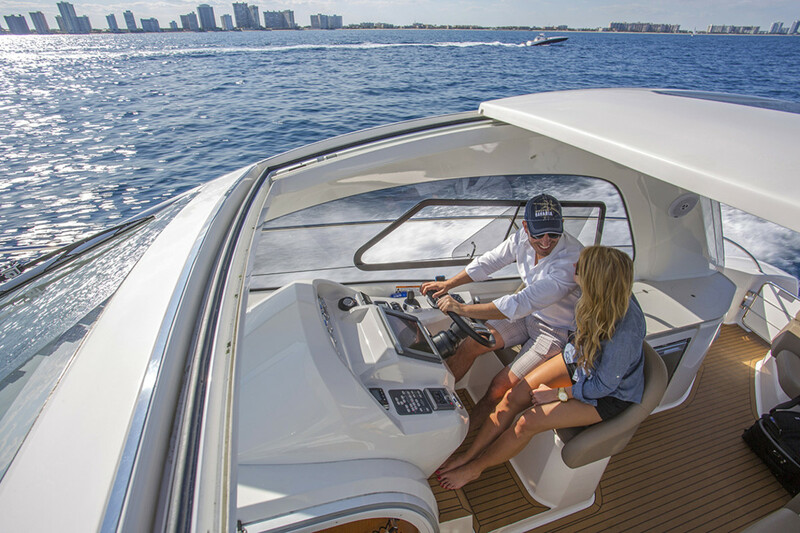 Power & Motoryacht: I understand you’re going to continue working while doing the Loop? Are you anxious about that? Tom DeBacco: It is a busy time­, we’re opening other locations, ­but thankfully all that can be done remotely. I have my e-mail with me, and we have our meetings over Google Hangouts. We talk, and it’s like we’re all there. We’re enabled by all that technology. 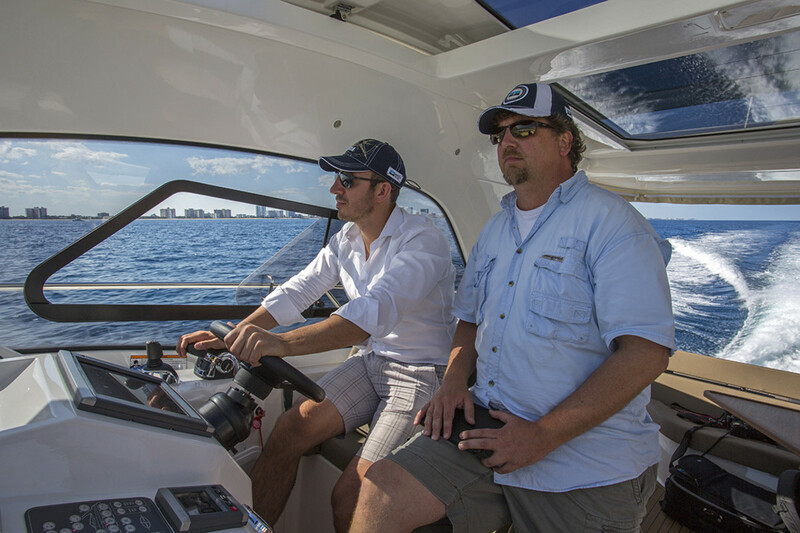 Power & Motoryacht: Are there other ways that technology has helped make this adventure possible? Tom DeBacco: We probably wouldn’t be able to do this trip without Airbnb. I have a mortgage like everyone else, and it’s expensive. 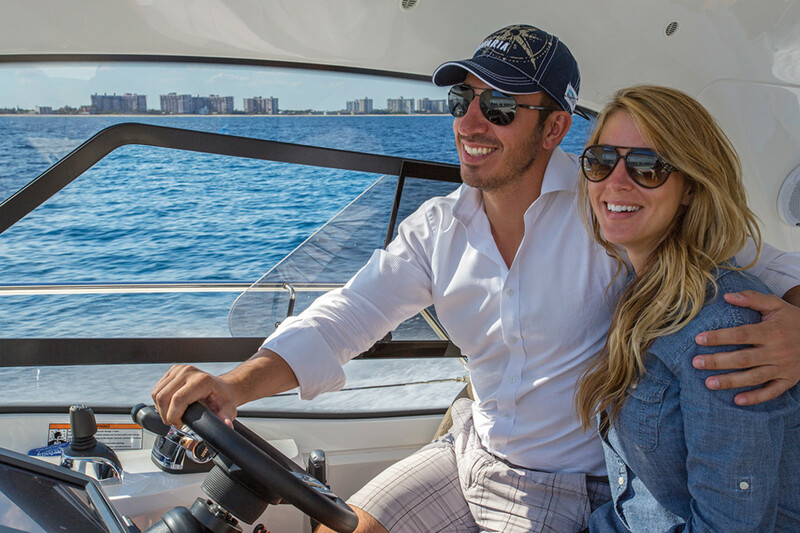 There are more costs when living on a boat, but we’re able to rent the house out the entire time we’re gone. We’re making our mortgage right back. 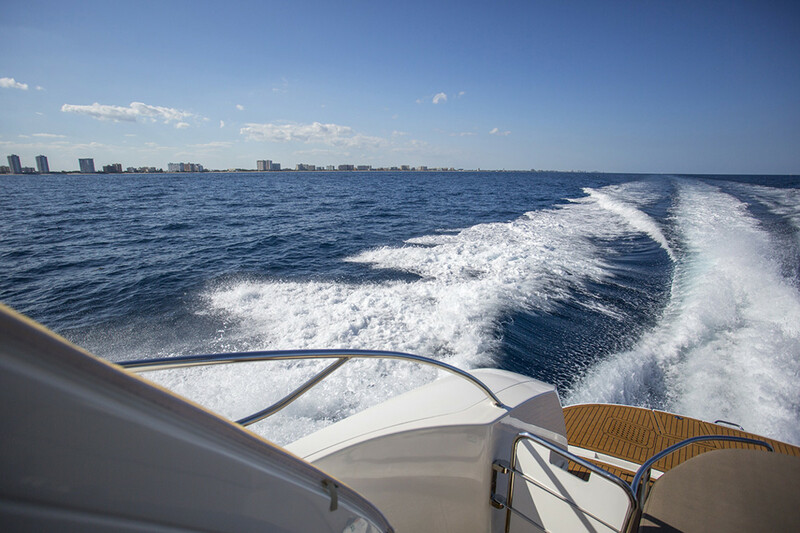 Power & Motoryacht: What parts of the Loop are most exciting to you? Tom DeBacco: We’re really looking forward to the Great Lakes. We went to a Great Loop conference, and everyone was saying Montreal and Ottawa are beautiful, and Toronto. Moreover, everyone always says Chicago is their favorite city. 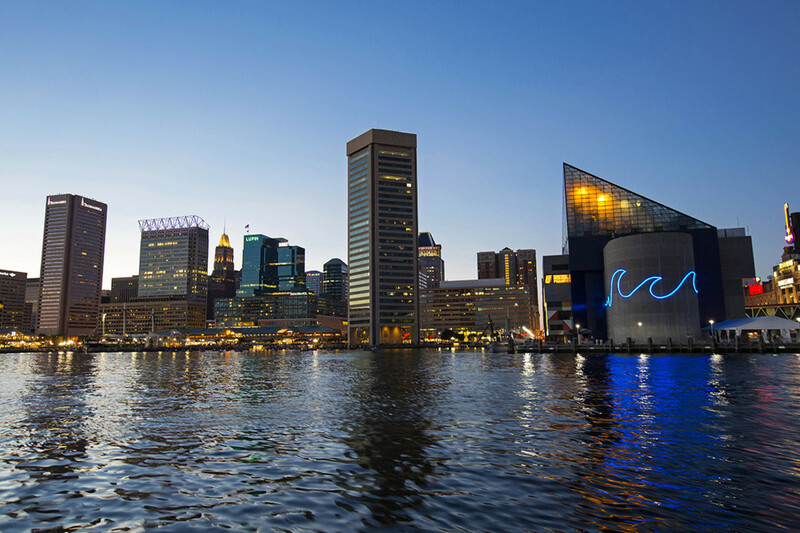 I’m excited to see that city in the summer. From there we see Cuba as a possibility; that seems like it would be a real adventure. 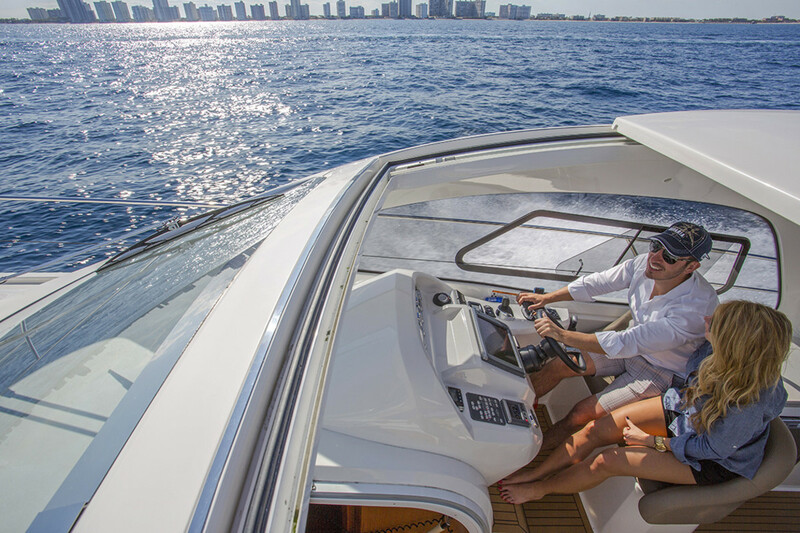 Power & Motoryacht: What about you, Kate? 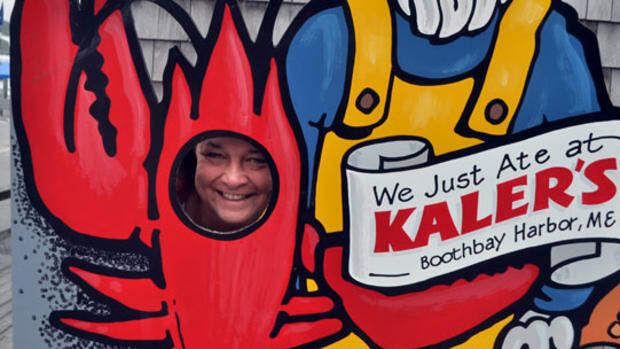 Kate Payne: Cape May [New Jersey] was something we didn’t want to miss. I’d say I’m most looking forward to the Great Lakes. 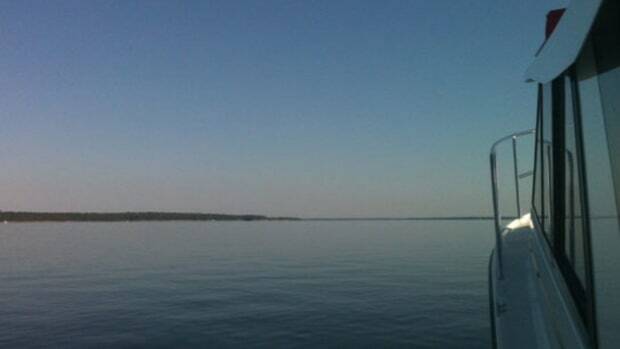 I’ve never boated there, but everyone has amazing things to say about it. We also, about a year ago, saw pictures of our friends swimming with the pigs in the Exumas, and ever since we have wanted to go, so we’ll probably head down there too. 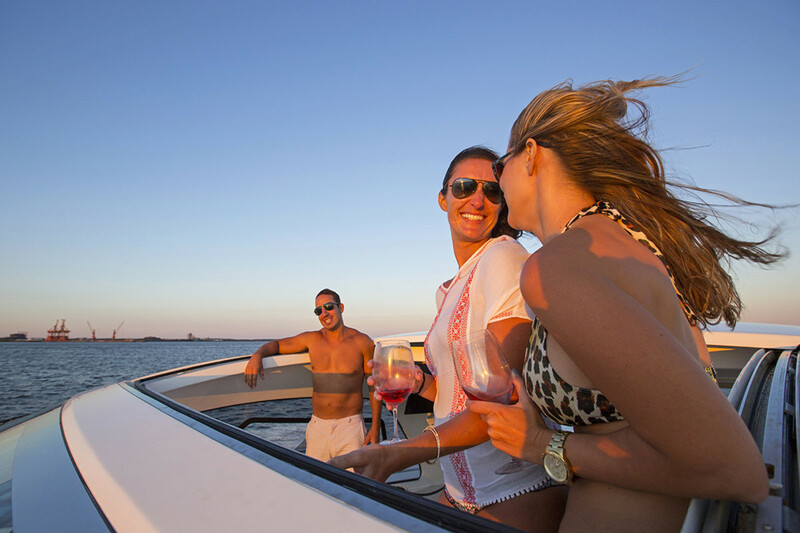 Red, white, or rosé—most any wine will pair well with loved ones on a sunset cruise. 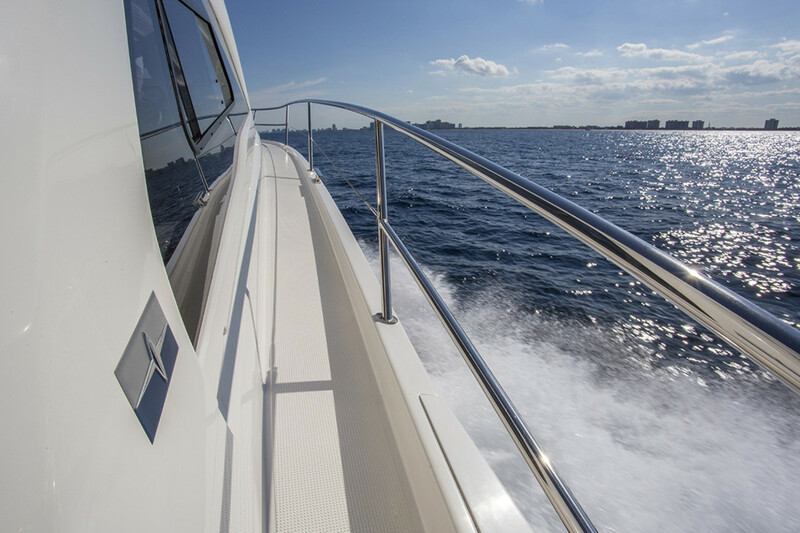 Power & Motoryacht: What do you hope to learn from this experience? Kate Payne: We feel like we’re getting our feet wet to potentially live on the boat for more long-term than a year. We’ve talked about possibly cruising the Mediterranean and then raising children on a boat. 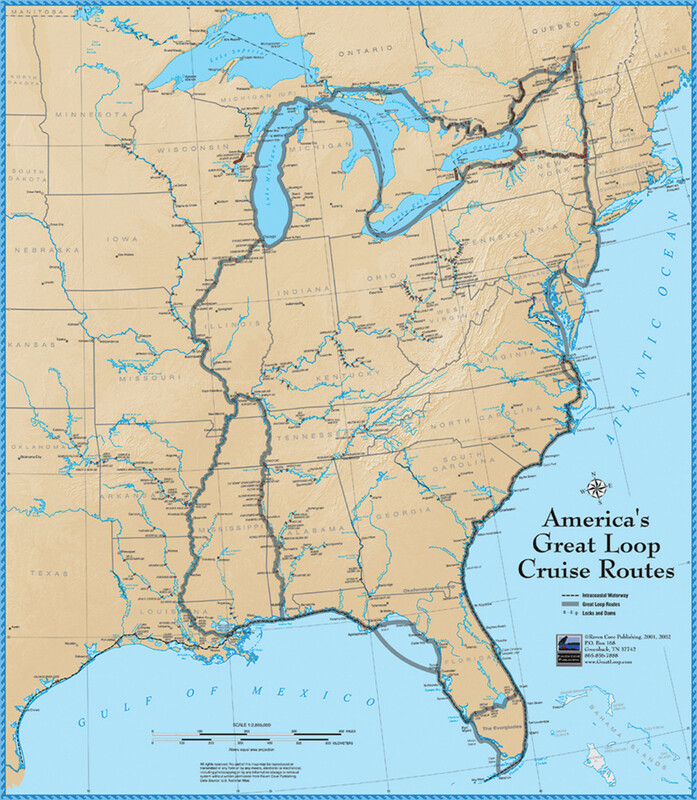 I think we both feel like the Great Loop is a safe way to see if this is A) for us and B) if a bigger boat is something we really need to do longer stints. I don’t think I want to get married, have a baby, and then move us onto a boat and realize it’s not for us. That’s what I’m trying to glean from the trip. 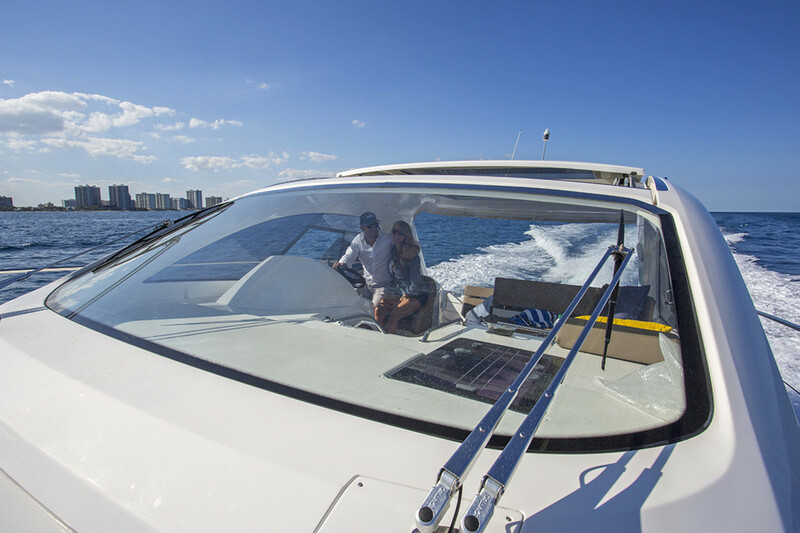 Power & Motoryacht: I see you created a blog [www.firstmatekate.com] to share your adventures with readers, what is your hope for the blog? Kate Payne: Tom and I would probably have different answers to that. I keep saying, Well, if nothing else it’s a diary for myself. And it’s a way my mom and dad and anyone else can check in with us at any given time. Tom, on the other hand, is super into the photography. Everywhere we go, he brings the GoPro with us. He’s more passionate about getting an awesome shot. This makes it easier for me to blog, because I have lots of great content. 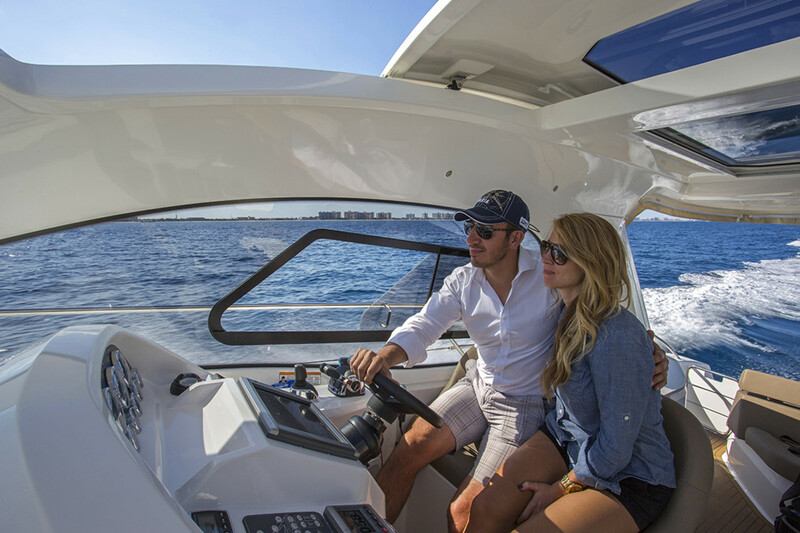 Power & Motoryacht: How do you think you two will manage living together on the boat for the better part of a year? 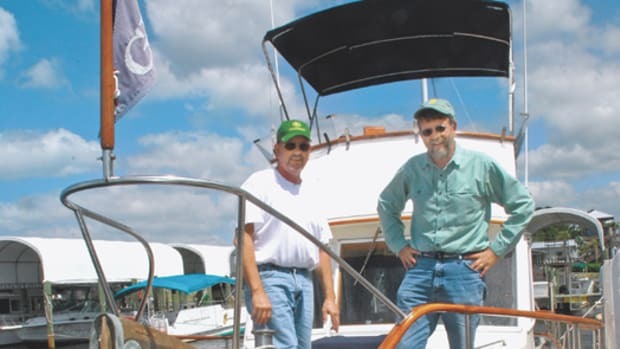 Tom DeBacco: You know, a lot of my friends are boaters, and I know everyone goes through it; we have our arguments when pulling into the dock, especially when it’s windy. “Don’t yell at me! Grab the line!” [Laughs while imitating Kate.] And anchoring, too! So there are trying moments. But it’s like anything else in a relationship, if you can’t figure out how to communicate and how to bring your home in safely, then maybe you shouldn’t be married. It’s a great test, right? If we can make it through the Great Loop, I think we’ll make it being married. 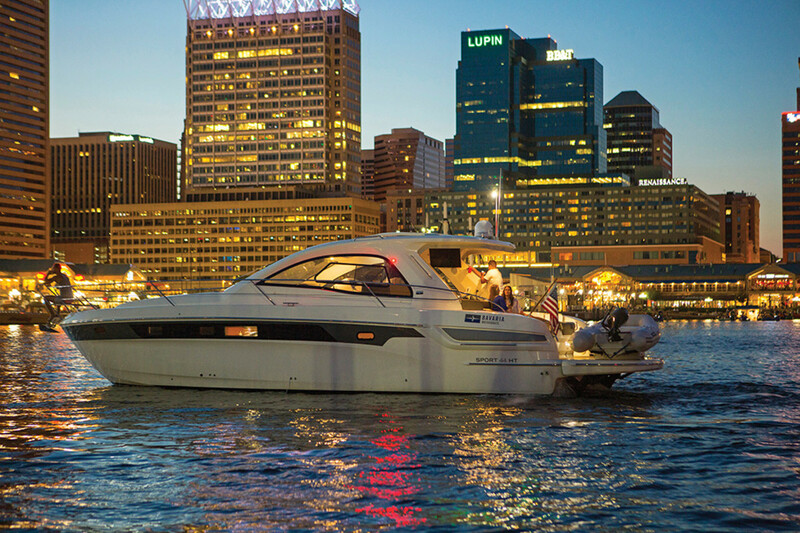 Power & Motoryacht: That’s a great way of looking at it. 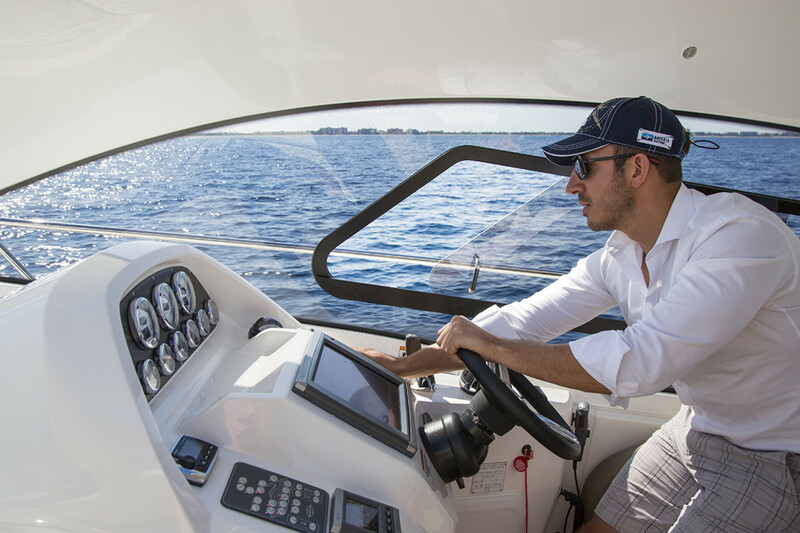 So, for the question almost every builder is asking: How do you think we can get more young people into boating? Tom DeBacco: Cost is definitely a part of it. You’ve got people who are doing well, and some that aren’t doing well. 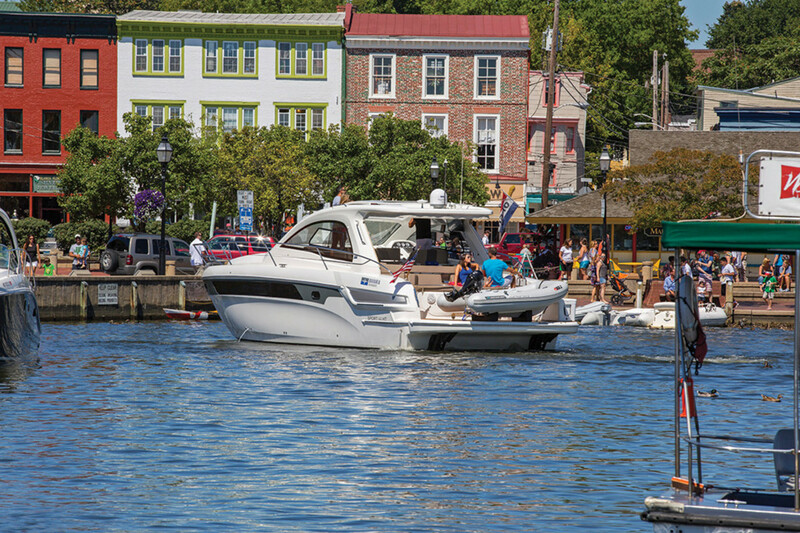 But how to get the people that can afford boating to get into it, that’s a good question. I think one of the main things is that people are scared. They’re scared of boating. I think the new technology that’s coming out, like Volvo IPS, makes it a lot easier. I mean, Kate can dock the boat, but she wouldn’t be able to dock a boat with twin screws. But on this boat, all you have to do is push right or left on the joystick and the boat moves parallel to the dock. And that allows me to do the things that sometimes require more muscle, like pulling on the lines, pulling the boat in. You hope you’ll have dockhands, but they’re not always around. So I think that maneuverability is a huge deal. And then there’s the simplicity of modern GPS. 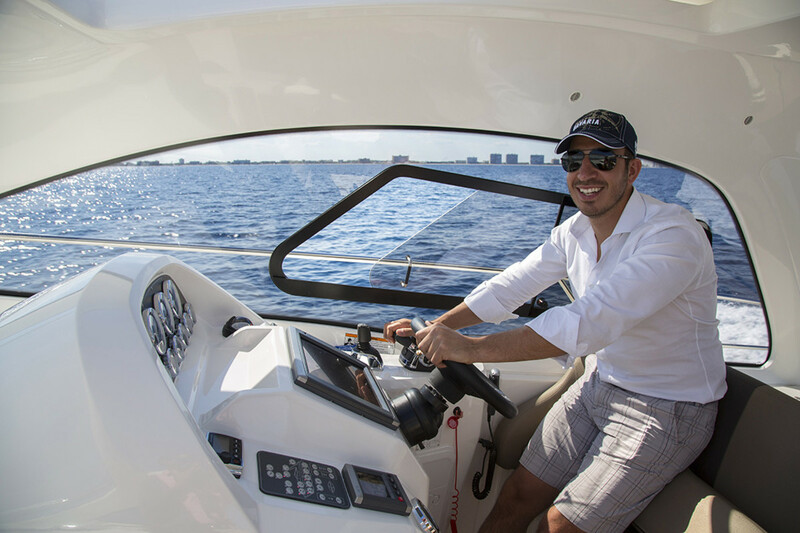 Boating is getting easier, I don’t even know how people did it before GPS. It gives you great accuracy within a couple feet. I don’t know that you can take away the cost, but you can take the fear away from it. And more efficient boats are important. Bringing down cost is always a good thing. Then there are the people that are doing really well, and making the money. I think those people aren’t asking themselves, Why is it that I’m going to work? I’m going to work to earn this money, but then what? Why am I earning all this money? Again it comes back to Braveheart: Every man dies, not every man really lives. More and more people need to grasp that. 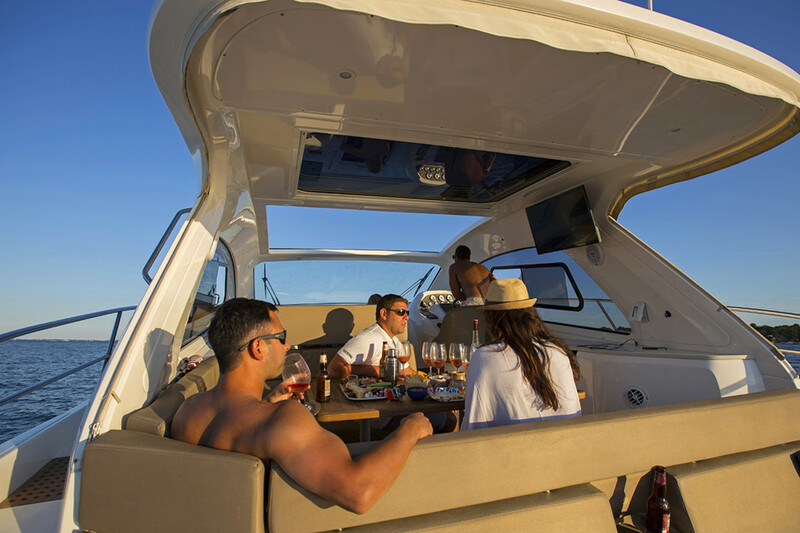 Power & Motoryacht: What do you think sets you apart from other millennials? Kate Payne: Tom really sums it up by saying, people defer their life. Why wait until retirement to live your life? We don’t want to live like that. We both knew people who passed away too young. And we want to set an example that trips and experiences like this are doable. 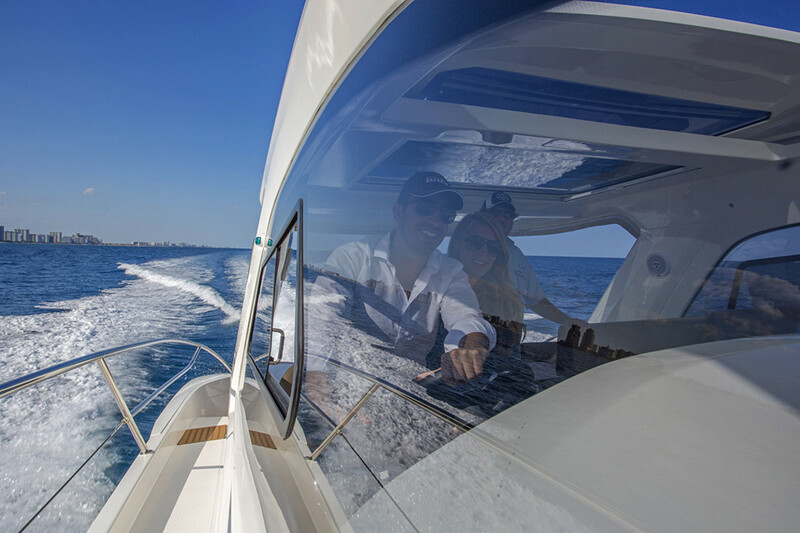 Power & Motoryacht: What’s the main thing you want others to take away from your story? Tom DeBacco: We’re just like everyone else. We also thought this was something we wouldn’t be able to do, until we started to figure out a way to make it work. You make a list of what’s in your way, and you start crossing them off one by one. Worst-case scenario, you try it and it doesn’t work out.